Get maxing out your wardrobe with these killer trousers. 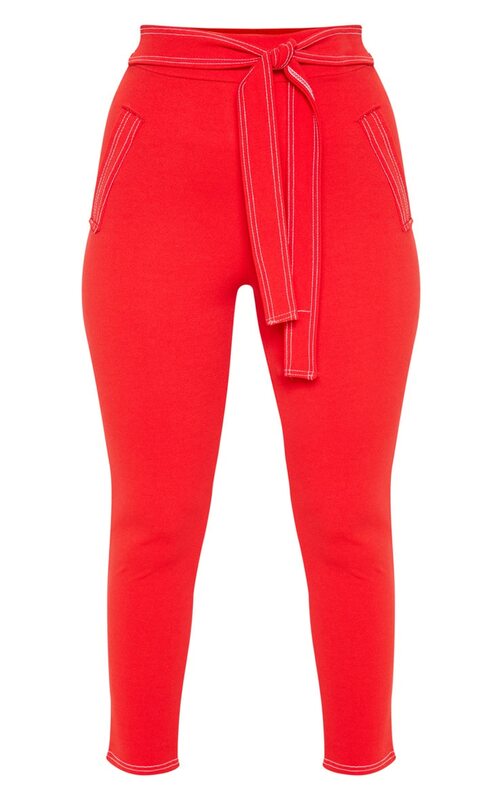 Featuring a red fabric with contrast stitching, a tie waist and a skinny leg fit, we are obsessed. Style with a bodysuit and strappy heels for a day to drinks look.